Jill is editor-in-chief and publisher of Evolving Magazine www.evolvingmagazine.com. As a travel journalist, she is currently traveling the USA by rail writing about her journeys. Read Jill's travel blog at www.jilldutton.wordpress.com. 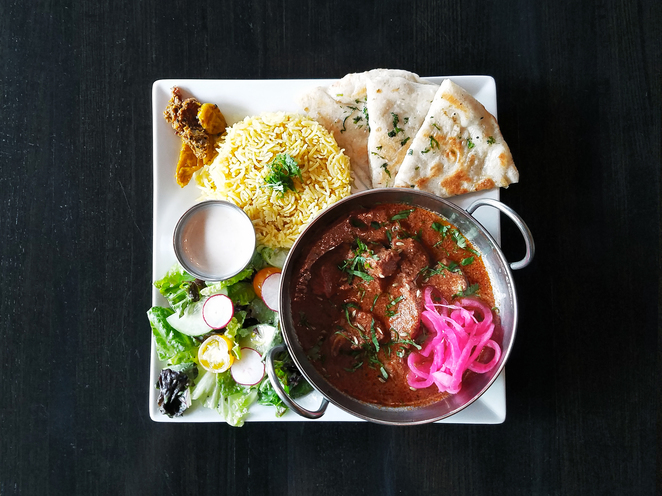 Nestled in a small bistro on a side road in the historic Brookside neighborhood, Chai Shai offers homemade, authentic Pakistani and Indian cuisine created to order. 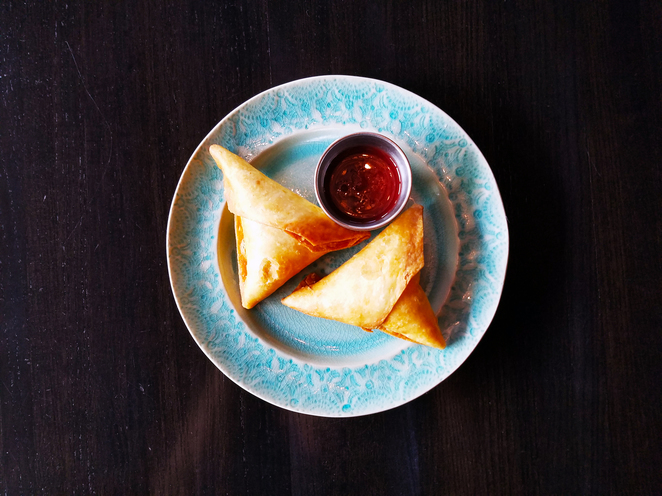 My favorite, and also the specialty at Chai Shai, is the samosa--- with beef, chicken, or vegetable as the choices. The meat options contain seasoned meat, onions, and cilantro fried inside a crispy pastry shell. The vegetable samosa is filled with spiced potatoes, peas, and cilantro. Although they're known for these decadent snack foods, the dinners are hearty, warm, and satisfying, as well. The dinner menu changes often, but choices frequently include Lamb Daal with marinated cubes of lamb and split yellow lentils, asafetida, fennel seeds, and fresh garlic, served with naan, basmati rice, salad, achaar (Indian pickles), and raitha (yogurt, cucumber, and spices). Chai Shai offers many vegetarian options and the Pakora Curry is a favorite of vegetable fritters made with chickpea flour, sliced onions, potatoes, and greens covered in a yellow curry consisting of mustard seed and fresh curry leaves. It's served with basmati rice, naan, raitha, salad, and achaar. The atmosphere is intimate with just a handful of tables for seating and a small outdoor patio. I always enjoy having an after-dinner Chai on the patio while people watching at this quaint Brookside bistro.